Perfect for that comfy and casual look! Every should have a pair of five pocket jeans. Light coloured in summer or dark coloured in winter. What wash is your favorite? Jeans are by far the most worn piece of clothing in the world. Jeans are originally from America, but nowadays they are popular all around the world. There is literally not a country in the world where people do not wear jeans. A good pair of jeans is the basis of almost everyone’s wardrobe. 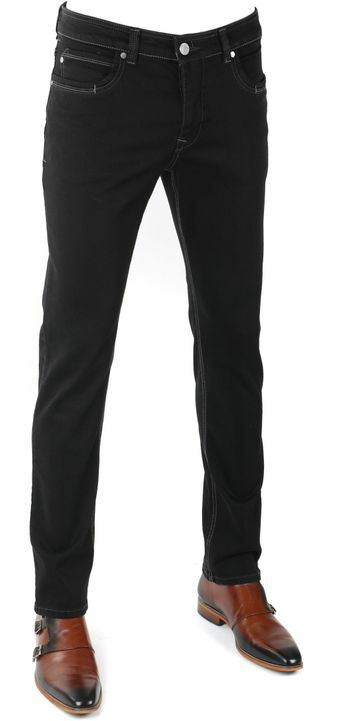 Whether you choose a dark or light toned jeans, or a wide or slim fit. At Suitable we offer a wide range of jeans for men, which means that you should be able to find the perfect pair! Prefer a modern look? Than we advise you to go for a more fitted jeans. Would you rather look more traditional? Then you should choose a regular-fit jeans with straight legs. That jeans in all colours and sizes are so popular today is also reflected in the fact that alsmost every brand has jeans in their collection. 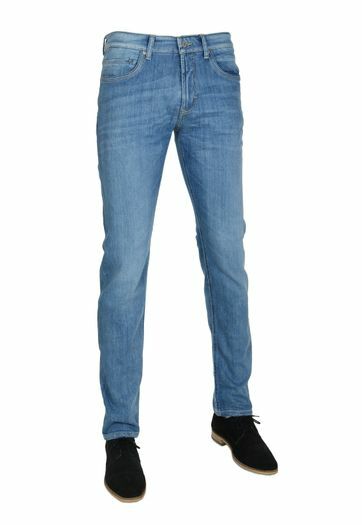 Take a look at the men’s jeans from Levi’s, MAC, Gardeur or even Pierre Cardin. Not sure which brand suits you and your wishes best? Feel free to contact our customer service, we are always happy to provide you with a personal advice. Maybe needless to say, but jeans are originally always designed as a five-pocket model. This means that your favorite pair of jeans should have two backpockets, two pockets in the front and another tiny pocket that is meant for coins. Even though we do not really use the coin pocket anymore, it never left the original design. Hooray for tradition!